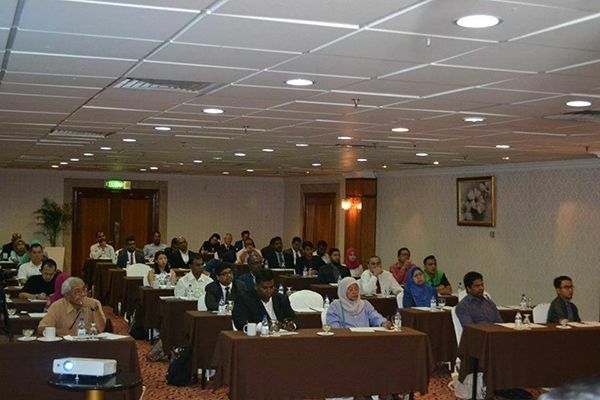 Sri Lanka Tourism Promotion Bureau in collaboration with the High Commission of Sri Lanka in Malaysia arranged a Tourism Promotion Workshop and a B2B session for leading Malaysian travel agents and senior officials of Malaysia Tourism. The distinguished guests attended the event included H.E. the High Commissioner of Sri Lanka for Malaysia, Chairman &Director General of Malaysia Tourism and Chairman MATTA Selangor Chapter. Over forty key Malaysian travel agents participated in the promotional workshop and the B2B session to meet the Sri Lankan counterparts. This is the first time Sri Lanka has arranged a promotional workshop with the participation of leading tourism stakeholders of the Malaysian travel trade including senior Malaysian government officials and representatives of Malaysian Association of Tour and Travel Agents (MATTA). The opening remarks delivered by H.E A.J.M Muzammil, Sri Lankan High Commissioner in Malaysia, highlighted 60 years of diplomatic relations between the two countries and the importance of strengthening it further through tourism. Dato Dr.SiewKa Wei, Chairman Malaysian Tourism spoke on the benefits of improving in-bound and out- bound tourism and noted Sri Lanka as one of the greatest destinations for Malaysians to spend their holidays. A comprehensive destination promotional presentation made by Dushan Wickramasuriya, Director-Public Relations, Sri Lanka Tourism Promotion Bureau, highlightedthe unique tourist attractions of Sri Lanka for Malaysian tourists and the air connectivity between the two countries for easy travel. 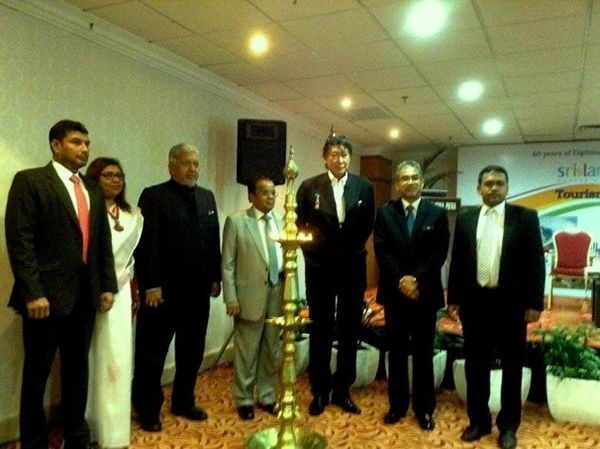 Malaysian travel agents were encouraged to include Sri Lanka as an ideal holiday destination in their product offerings. Dilshan Kudahetti, Country Manager, Sri Lankan Airlines also made a presentation to promote Sri Lankan Airline which operates 14 flights a week direct to Kuala Lumpur, Malaysia. The workshop created a platform to connect and develop business links with Malaysian travel agents. It also proved to be an excellent opportunity for Sri Lanka to enhance its promotional activities among the Malaysian travel industry. The event also signified a special moment to both nations as Sri Lanka and Malaysia celebrated 60 years of Diplomatic Relations. The workshop was held on 12th September following the MATTA travel fair which is Malaysia’s premier Business to Consumer (B2C) Travel extravaganza promoted to obtain global exposure, business and travel opportunities for the tourism sector. 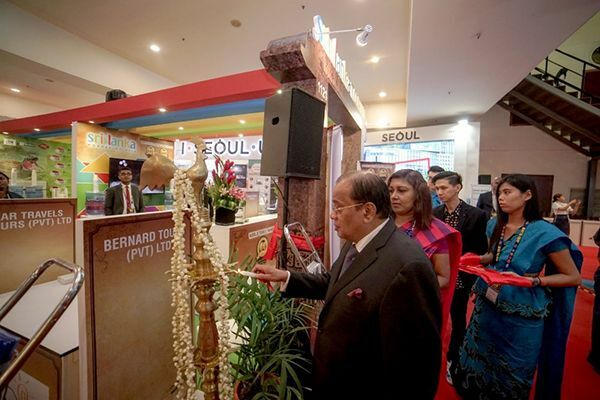 The fair was held at Putra World Trade Centre (PWTC), Kuala Lumpur, Malaysia. 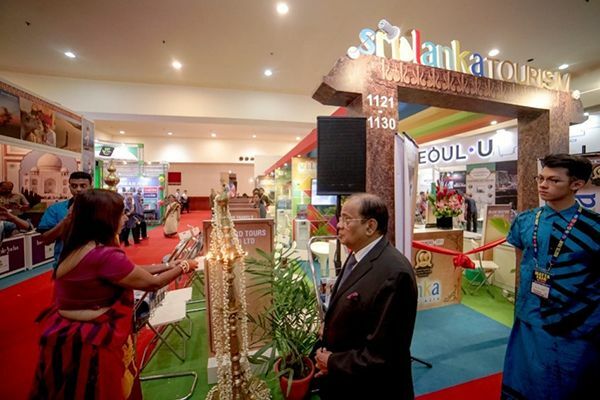 Twelve companies from the tourism industry represented Sri Lanka at the fair. 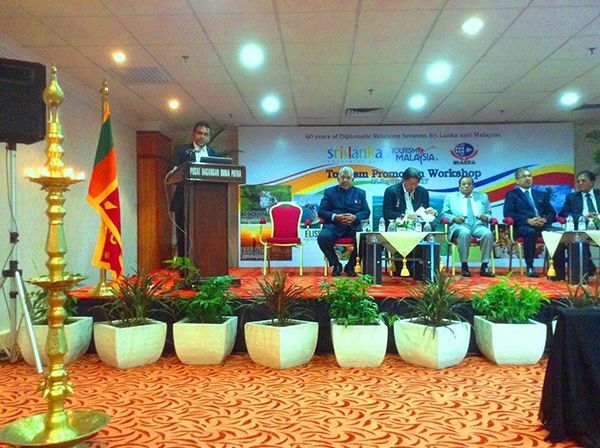 Sri Lanka Tourism Promotion Bureau was represented by Assistant Director Chami Gasnawage.